Have a heart. Pretty, heart-shaped tomato was our 2012 taste test champ. Flesh of the 2 oz., deep-red fruit is thick and juicy, aromatic, sweet and tasty. Cherries are scrumptious right off the vine, ready to star in salads or as snacks. Indeterminate. 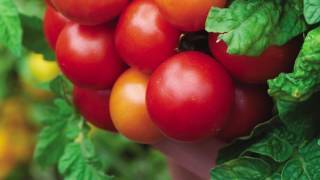 Tomato, Tomatoberry Garden Hybrid is rated 4.3 out of 5 by 19. Rated 4 out of 5 by ElleGrows from My Favorite Pick-n-Pop Eats I have ordered the tomatoberry plants for over 5 years and they never fail me. They have and amazing taste, kinda sweet. It’s great later in the season when the plants are overflowing with tomatoes. 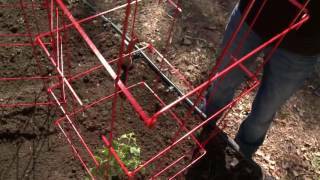 I may change up some varieties each year but I always plant Tomatoberry plants. I would highly recommend. Rated 5 out of 5 by Jani from Yummy tomatoes It is plump, juicy and very tasty right off the vine or several days after picking. Good enough to slice and put on BLT's. Rated 5 out of 5 by PennyM from My favorite little tomato I have been raising Tomatoberry since I bought a seedling at a plant sale years ago. It's my favorite cherry tomato, as well as the favorite of everyone I have given it to. It's firm, meaty, flavorful, and wonderfully prolific. It never, ever, cracks the way so many cherry tomatoes crack, and it lasts a very long time after it's picked. If I could raise only a single tomato (as opposed to the dozens we plant every year), this would be it. Rated 5 out of 5 by hwgang from 40 years of gardening...this is my favorite ever! I always grow this from seed, but this year, I ordered plants from Burpee. I was delighted to find them here as it is otherwise impossible to find. I chalk it up to the seed being expensive. I was nervous about mail-ordering tomatoes, but Burpees clever packaging delivered robust, healthy plants that are now thriving. If I could only grow ONE tomato, this would be it. Soooo flavorful, productive and such a fun size. Rated 5 out of 5 by cappifish from so very prolific I didn't purchase but a friend nearby did and I was lucky enough to reap some of the benefits. These plants were just non-stop and had great flavor. Rated 5 out of 5 by Dees Garden from Vigorous seedings, great patio plant I had none of the germination trouble other reviewers noted (I did with other plants, but not these). Planting 2 seeds per cell netted me 4 healthy seedlings from 10 seeds. They grew quickly under lights and were quite large when set out over Memorial Day weekend. I planted the three most vigorous plants in a large whisky barrel planter and added a tomato cage for stability. The plants have overgrown the cage (7/25/16) and are covered with heavy fruit. I just realized that they are very top-heavy and the pot tipped in a bad windstorm, but even that didn't phase these plants. I'm entering several prime fruits in the local county fair and hope to bring home a ribbon! So far the flavor is nothing special, but other reviewers have noted improved flavor as the season progressed, so I'm hopeful.